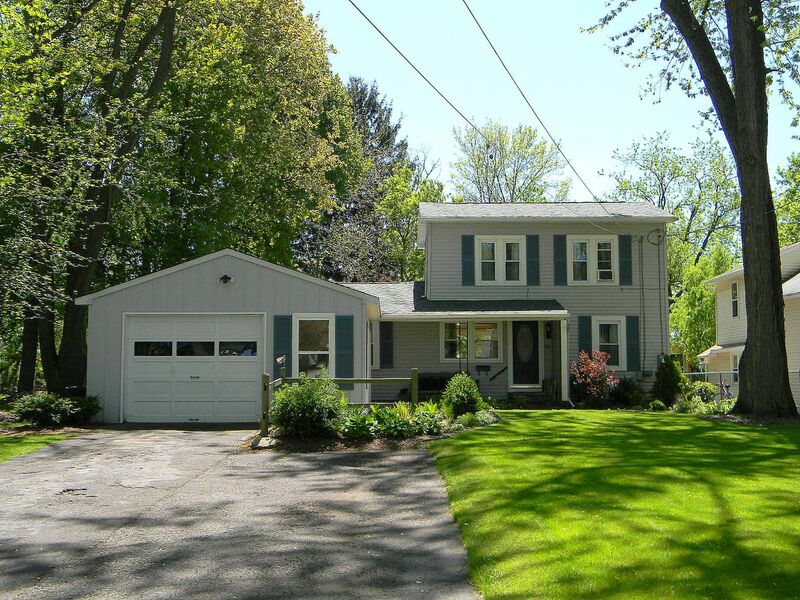 Mattydale New York Real Estate - http://www.CNYAgent.com - Contact Bob McTague at 315-882-6610 – 216 Campbell Road, Mattydale NY - Welcome Home! This 3 bedroom home offers style and function throughout. The first floor features a new eat-in kitchen with abundant cabinets and counter space, a spacious living room, full bath, and a master bedroom with full bath. Newer hardwood floors fill the first floor space. The second floor provides two ample sized bedrooms. The slider from the kitchen invites you to a large fully fenced yard and a deck for Summer enjoyment. The detached 1.5 car garage, professional landscaping, and this unique setting in Mattydale complete this move-in ready home. Centrally located. Call today for more details!